For the first time, the Royal Commission into Institutional Responses to Child Sexual Abuse has heard public testimony from a former Religious and convicted serial abuser, writes Dan Box in The Australian. Gregory Sutton, a former Marist Brother ultimately convicted of 67 sexual offences against 15 children and released from prison in 2008, told the Commission the then-head of the Marist Brothers, Alexis Turton, met him in 1989 and told him there was a police ­investigation into his activities at a western Sydney school. Brother Turton directed ­Sutton to leave the country four days later, travelling first to ­Chicago and then to Canada for 'assessment' at an institute used by the Church, Sutton told the Commission. 'I thought it sounded extremely sudden to me. I didn't question the timing of it,' he said. Sutton remained in the US for several years, during which time he asked to be dismissed from the Marist Brothers and later found work as the administrative headmaster of a school. In 1992, Brother Turton 'made a phone call to say that a court had issued a warrant for me,' ­Sutton told the Commission. 'Did you ask Brother Turton what to do?' Counsel assisting the Commission, Gail Furness SC, asked. The Commission has also heard Brother Turton received several previous warnings about Sutton's behaviour, including one occasion when Sutton himself admitted to having been 'sexually improper' with a boy, who later committed suicide. Brother Turton, who stepped down from his position as Sydney Provincial of the Marist Brothers in 1995, told the commission last month that he did not report this to the police in order to respect the wishes of the boy's family. He also said he did not 'have any recollection' of alerting Sutton to the police investigation into his alleged abuse. Day ten of the Royal Commission hearing into the Marist Brothers' response to child sexual abuse perpetrated by two teaching brothers from the early 1960s through to the late 1980s continued in Sydney today. The hearing commenced with evidence from former Marist Brother Gregory Sutton, who was convicted in the late 1990s of 67 counts of child sexual abuse committed in the 1970s and 80s. Sutton served 12 years imprisonment for the crimes and was released in April 2008. Sutton gave evidence that in August 1989 he was told by Br Turton that there was a police investigation into Sutton's activities at St Thomas More Primary School in Campbelltown, and that he was sent to Canada for psychological treatment shortly afterwards. Sutton also said that he had been advised by Br Turton in 1992, after he had left the Marist Brothers, that warrants had been issued by NSW Police for his arrest. Sutton said that when he asked what he should do about the warrants, he was told to stay in the USA and 'live his life'. The Truth Justice and Healing Council and the Marist Brothers have reserved their position in relation to further questioning of Sutton when the hearing resumes. Br Jeffrey Crowe then continued giving evidence. Br Crowe was asked about the Marist Brothers' handling of the claims made in relation to abuse perpetrated by Kostka Chute at Marist College Canberra. Br Crowe told the Commission 48 complainants had made claims against Chute, and that more than $6.8 million in compensation had been paid. Br Crowe was asked for his opinion about the reasons that Chute was able to offend over such a long period of time. His thoughts were that trust had been placed in Chute by the Marist Brothers because he was a brother, and it was unusual for one brother to have suspicions of another brother. He went on to say that Kostka Chute was a master of secrecy, who failed to acknowledge the sexual assaults he had committed. Br Crowe also gave evidence that in his view there was a degree of ignorance during earlier decades and apparent systemic failures in respect of child protection measures in those periods. Br Crowe acknowledged there had also been poor handling of some complaints received in respect of Chute from parents in the 1950s and 1960s. He said this was 'disastrous, they weren't very effectively dealt with at all'. Br Crowe said the Marist Brothers' advisory group is currently 'looking at and learning' from the experience of victims who had been through civil processes and Towards Healing and what changes in approach the Marist Brothers could take. 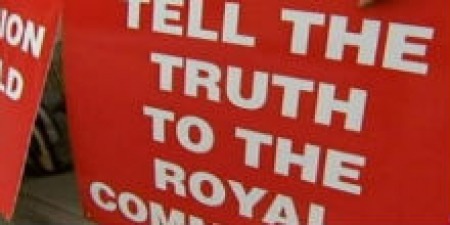 The hearing has been adjourned to enable the Royal Commission to make some further inquiries. A date will be set for the hearing to resume once those inquiries are complete. RELATED COVERAGE An 88-year-old former priest faces the prospect of being jailed after being found guilty of sexually assaulting a boy more than 40 years ago.